More than just the shot of choice and the foundation for margaritas, tequila is a liquor rich in history and lore. Created from the distilled juice of the agave plant, tequila enjoys widespread fame as a prized position in Mesoamerican society. 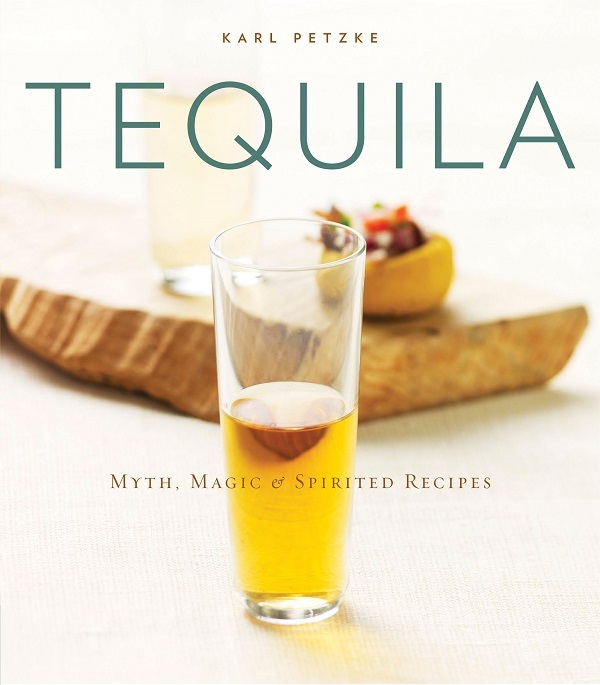 Understanding the creation and development of tequila adds depth to its enjoyment and appreciation; Karl Petzke’s Tequila: Myth, Magic & Spirited Recipes offers the perfect key to unlock the complex world of this storied beverage, with information about the history, making, and tasting of tequila. In addition to a comprehensive guide to the many different kinds of tequila and the characteristics in flavor and preparation that distinguish each, Tequila includes recipes for drinks like the Bloody Maria and food like Corn Chowder with Roasted Tomatoes and Tequila that best highlight the unique flavors and uses of this potent liquor. Tequila is a wonderful book for tequila enthusiasts and aspiring connoisseurs alike—prepare to be captivated and, perhaps, even a little intoxicated. Reprinted with permission from Tequila: Myth, Magic & Spirited Recipes by Karl Pretzke, copyright © 2009. Published by Chronicle Books. Support your local bookstore, or buy the book through our affiliate links at IndieBound or Amazon.com. 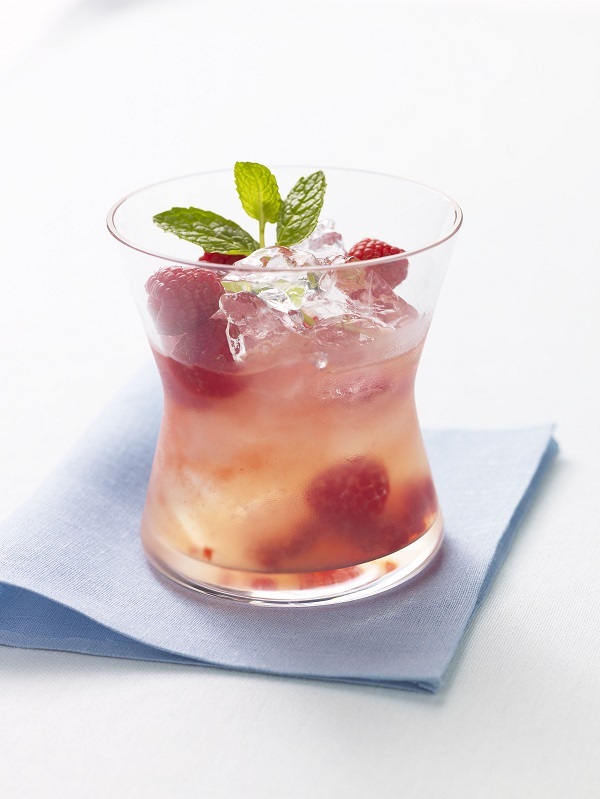 Raspberry lemonade—enlivened with tequila—may be the best of all summer porch or backyard-patio drinks on a long, hot day. Thin-skinned and fragrant, Meyer lemons give this lemonade a delightful sweetness and perfume you will not find in store-bought lemonade. Makes 1 drink. Combine the lemon juice and sugar in a large glass and stir to dissolve the sugar. Add the raspberries and mint. Lightly mash the raspberries to release some of their juices. Add a few ice cubes, the water, and tequila. Give it a good stir and enjoy. These ribs have a falling-off-the-bone barbecued tenderness, but their flavor is brighter, thanks to the orange essence, with a subtle smokiness added by the chipotle chiles and the reposado tequila. Makes 4 servings. Combine all the marinade ingredients in a bowl and stir until the salt is dissolved. Cut the rib racks in half and place in 9-by-13-inch baking dish. Pour the marinade over the ribs and refrigerate for at least 2 hours, occasionally turning the ribs to make sure they are evenly coated. For the glaze: Combine all the glaze ingredients in a food processor. Process until smooth and transfer to a bowl. Set aside. Preheat the oven to 400°F. Line a baking sheet with aluminum foil. Place the rib racks on the prepared pan without overlapping. Discard the marinade. Bake for 20 minutes, then reduce the oven temperature to 275°F and bake for 2 more hours, or until very tender. 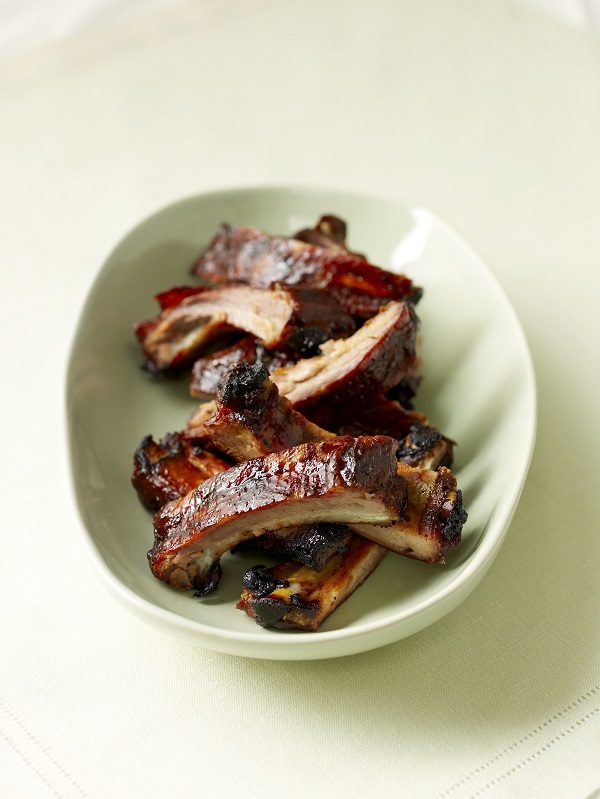 During the last 20 minutes of baking, brush the ribs evenly with the glaze every 5 minutes. Remove from the oven and transfer to a warmed platter. Garnish with cilantro and serve with any remaining glaze on the side. Photographer Karl Petzke lives and works in San Francisco and Napa, California. Some of his previous books include Espresso; Chocolate; and the Tra Vigne Cookbook. This entry was posted in Drink, Eat and tagged agave, Drink, Eat, lemonade, orange, raspberry, recipe, ribs, tequila. Bookmark the permalink.